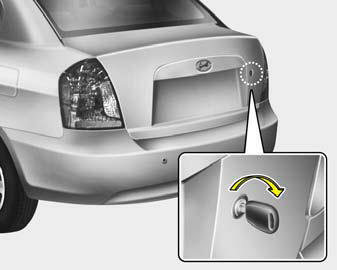 o The trunk lid is opened by first turning the key clockwise to release the lock, then raising the door manually. o To close, lower the trunk lid, then press down on it until it locks. To be sure the trunk lid is securely fastened, try to pull it up again.